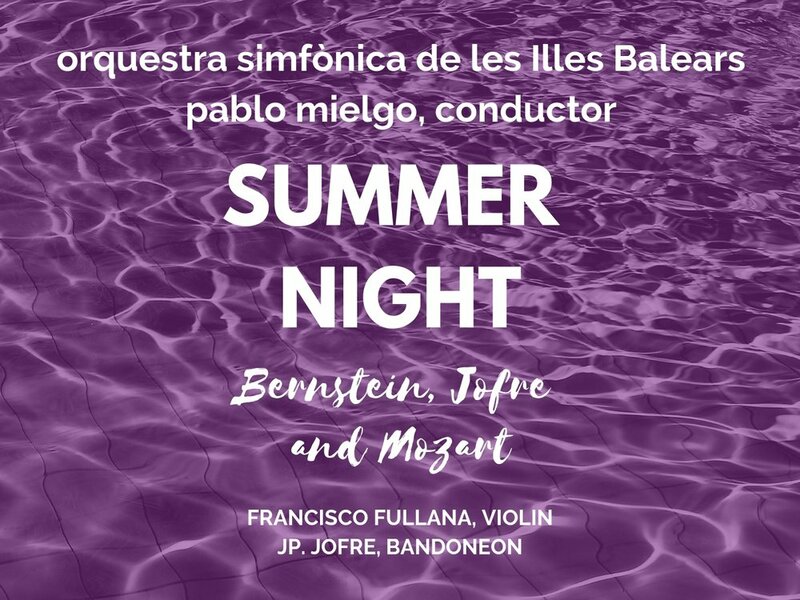 Last 12th of July, at the magic Bellver Castle in Palma, Pablo Mielgo and the OSIB made a live recording with the Balearic TV Station (IB3). The recording included, the Bernstein Violin Serenade, played by one of the most prominent Spanish young talents, Francisco Fullana, Avery Fisher award 2018. The JP. Jofre Concerto for Bandoneon and violin, premiered in Spain, and performed by its one composer, JP. Jofre and Francisco Fullana. In the second half the Mozart Serenata "Grand Partita". Please watch the following links.